Discussion in 'Guitars in General' started by dansworld, May 7, 2016. Took a few pictures of the PX6's out on the patio for your enjoyment. Have a great weekend! nickthenail, Telechamp, monty and 8 others like this. Beautiful guitars! 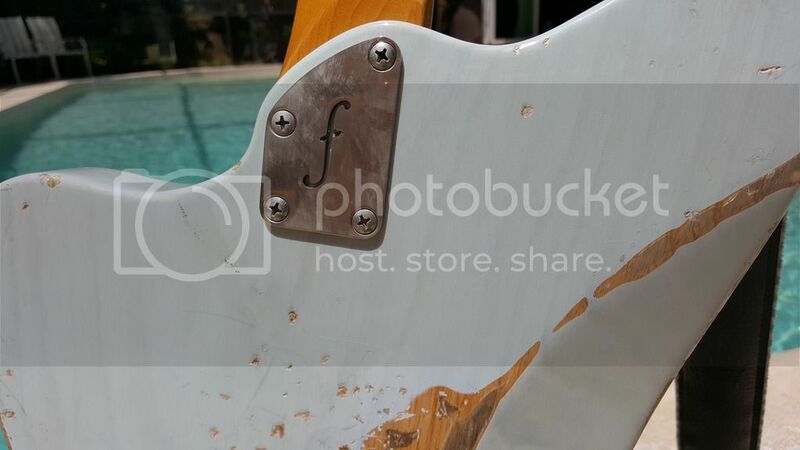 I really like that headstock too! I like the flamey one best. Either one would float my boat. Thanks for the great question! They are actually quite different. The trans blue is swamp ash with a maple neck and rosewood board. The stripey one is mahogany with a maple top, mahogany neck and rosewood board. 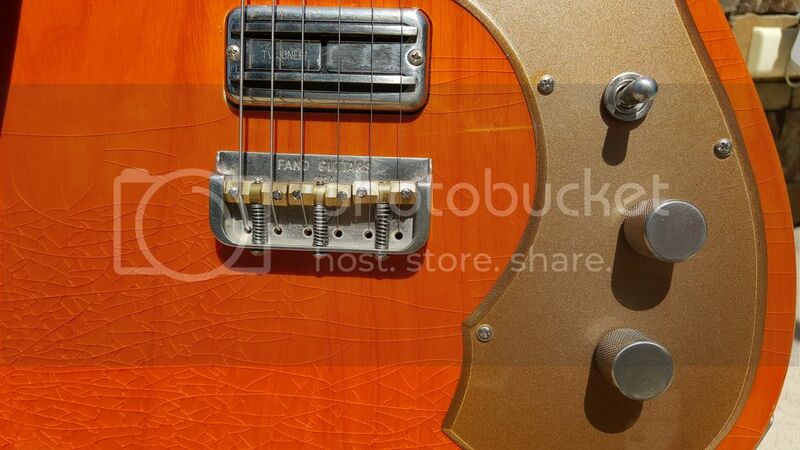 They both share Fralin P-90's and have chunky thick necks, yet they still sound very different from one another. 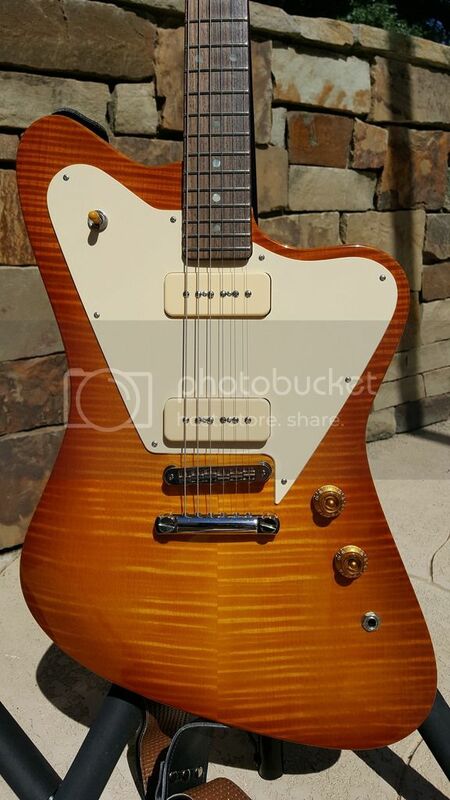 The mahogany is warm but with a very quick attack and is VERY loud unamplified. You can hear it across the house, practically! 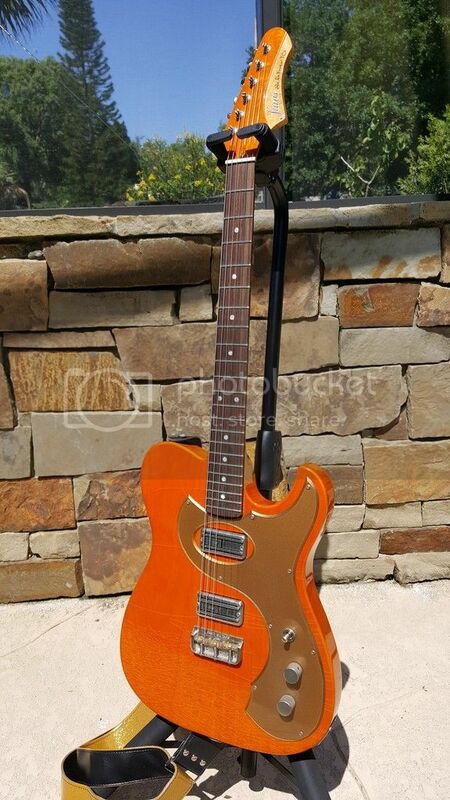 The ash is more Fender sounding with a tele like presence but more bite thanks to the P-90's. 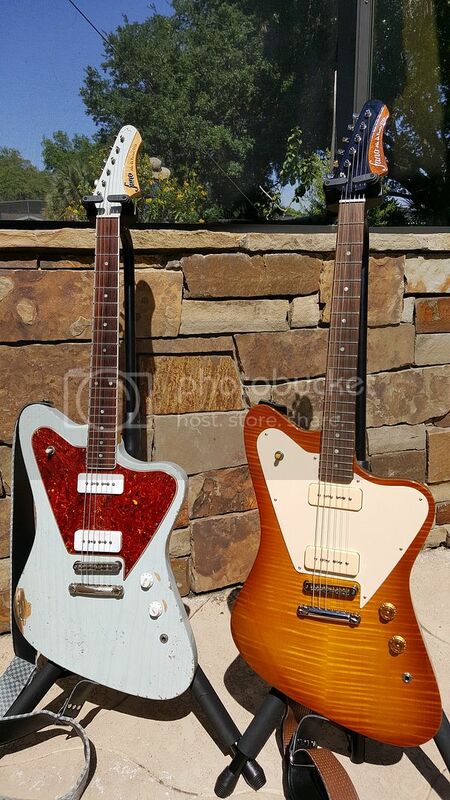 They both are great lead machines; you can make the amber one hearken a Johnny Winter type vibe while the blue gets downright nasty when you crank it loud and is especially pleasing in the middle position. They're both great for rhythm work, and turned down are both splendidly mellow. 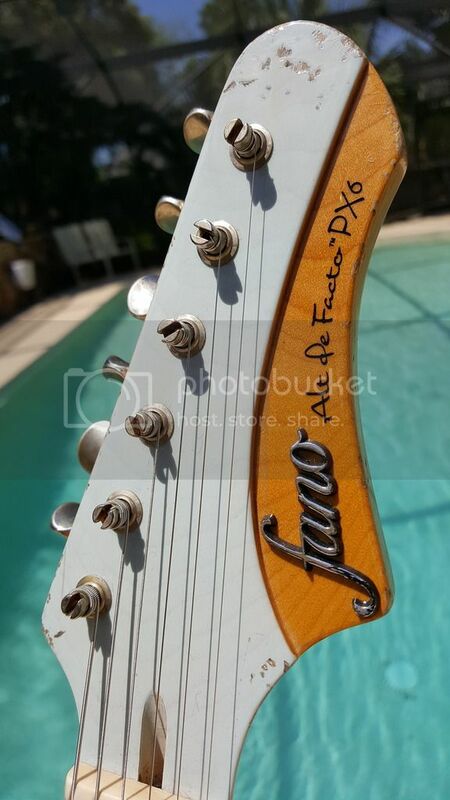 I love playing them, they are a fun departure from my normal Strat's that I play mostly. I've had them out alot lately and plan on laying some tracks with them together, swapping lead and rhythm duties. Very interesting on different woods yielding such distinctive tones. 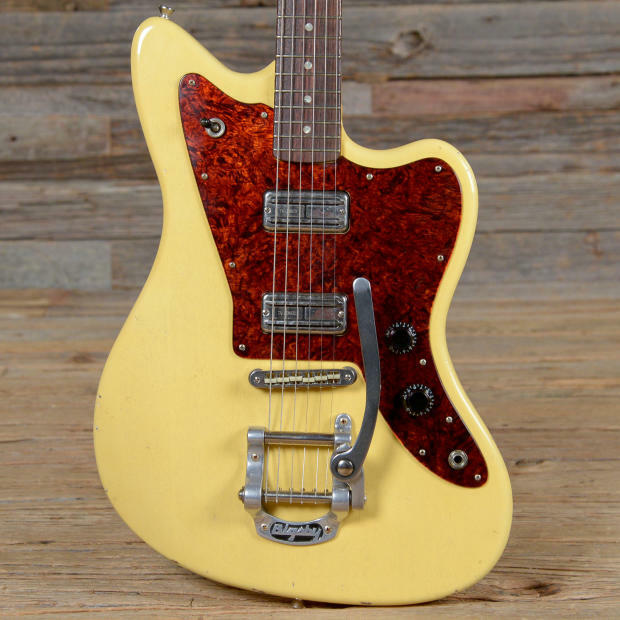 I've been gassing for a PX6 for so long but I'm not a fan of fat necks and I'm not sure i could deal with it. 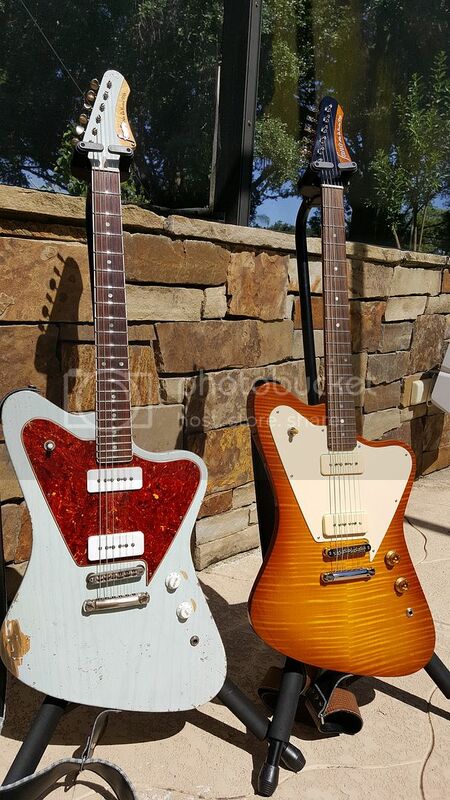 You could order one with whatever neck you choose, but you definitely would not like these two...they're even chunkier than an old Les Paul, but I like that. Pretty cool they're so different even with the same pickups. The middle position with two P90's and just a tiny bit of gain is one of my all time favourite tones so I'm sure that Blue Fano sounds rad! I love my JM6, best playing and most versitile guitar I have. I recognise some of the things you describe in my own Fano. 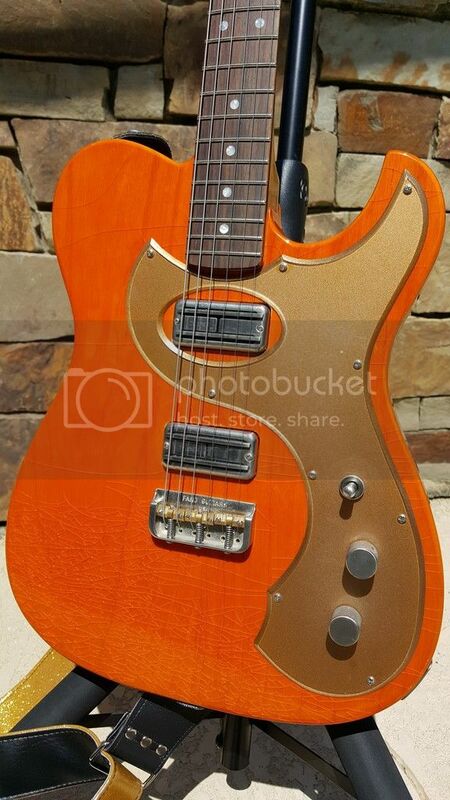 I did swap the Fralins that came in it out for Lollar 50's wound because I found them too clunky. They were amazing for high gain stuff, but that was about it for me. The blue one has me drooling here. phazersonstun and dansworld like this. I actually didn't know you could still custom order from them. Very interesting! Thank you, that's one of my most favorite guitars I've ever owned or played. I looks great in person and plays very smoothly. I especially like the neck binding! I emailed with them a couple of weeks ago, the PBG seems to still be active. Have you seen this one on Reverb? Haven't considered a JM6, but I'm getting into the TC6 as well. Love the 'Trons! That finish looks pretty nasty to me hehe Your new TC6 is cool though. 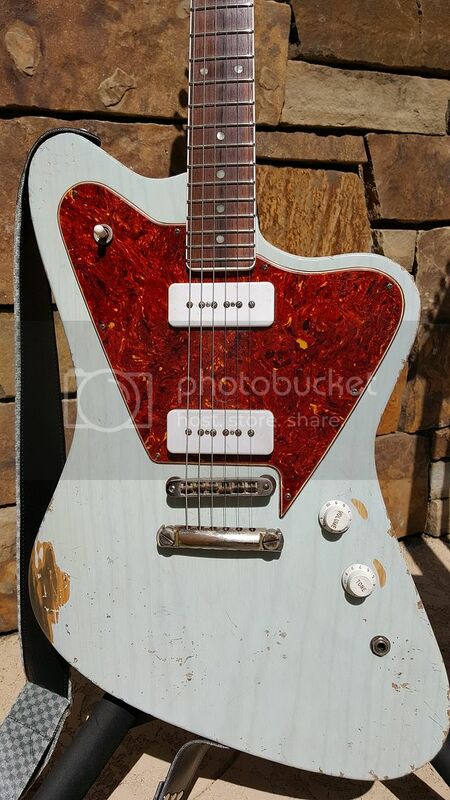 Filtertron style pickups really have a special tone. Yeah that binding is def. the cherry on top of the cake. Enjoy!